Do you have your Mother’s old fur stole? Or your grandmother’s old fur coat? 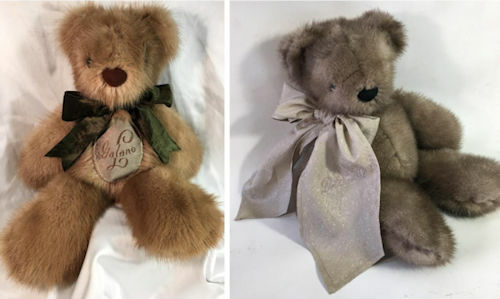 Carol can make it into a wonderful keepsake Bear for you, If there are labels or monograms on the piece, Carol can incorporate those in the design. Prices start at $150 per bear. Contact carol@carolszoo.com for further information and to make arrangements.